Get this job interview question right, and maybe you’ll find yourself in a new job with less annoying coworkers. Be prepared for this question so you don’t begin unloading every habit you find annoying in others, and focus your answer on something that won’t scare off a prospective employer. Everyone is annoyed by something, and when the pressures of work begin to mount, the irritations can start to interfere with teamwork and productivity. Don’t tell the interviewer you never get annoyed with anyone. 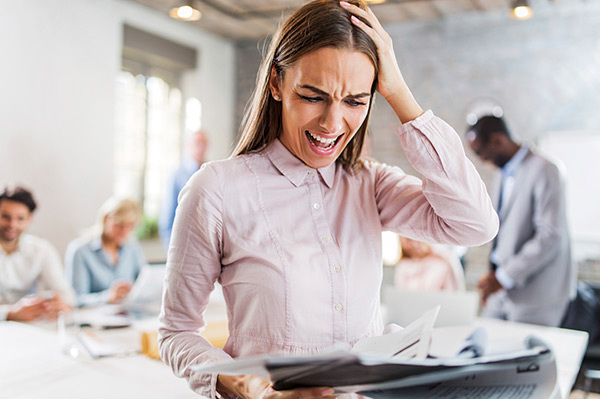 Even the most patient people will find themselves frustrated with co-workers at one point or another, so you need to describe a moment when you’ve been legitimately annoyed at work. “You can cite some things that are genuinely irritating, for example employees taking credit for your work,” Gibson suggests. At the same time, employers don’t want to hire people who are going to be irritated by every little thing, so you need to give an answer that shows the little stuff won’t get to you. Lastly, you must demonstrate that you handle your annoyances in a calm and productive manner. It’s best to explain how you listen to others when there’s a misunderstanding, Preston suggests. Give an answer that shows you prefer to discuss your irritations and find a point of agreement with others, rather than simply remaining annoyed.